We as a world are more aware than ever of the importance of physical fitness to our overall health. While we remain aware of the need for physical activity far too many of us find far too few reasons to incorporate physical activity into our daily lives and routines. There are many reasons that we procrastinate in this particular effort. For some time is the defining factor while others will readily admit that they have no appreciation whatsoever for those activities that come to mind when exercise is considered. 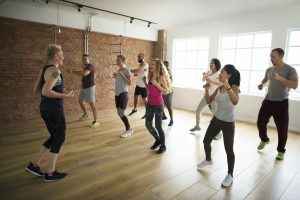 Whatever your reason for not incorporating exercise and physical activity into your daily routine, have you considered dancing for your health? There are all kinds of wonderful reasons to dance though I can think of very few that would be better than dancing for the sake of your health and physical well being. The good news when it comes to dancing is that in most instances it doesn’t feel as though you are getting exercise and the burning of calories doesn’t sting nearly as much when you’re having fun burning them. Dancing has evolved a great deal and while the history of dance is a long and noble history. Even, one might add, a quite manly history for those men who haven’t considered dancing in the past. More importantly however than any of these benefits of dancing mentioned above dancing is fun. This means that you will enjoy life a little, laugh a little, and accidentally work a little physical fitness into your life without feeling as though you are suffering for the sake of doing so. So many people get very little physical activity because they do not see physical activity as fun. If you are wondering what sort of dance is right for you, there are many from which to choose. Square dancing is great fun for couples as are ballroom and swing dancing. Line dancing, contra square dancing, clogging, and tap dancing can be great fun in larger groups or as a participant in a class. If you want something a little sexier for your dance efforts you can always try Salsa dancing, Flamenco dancing, or belly dancing. If you live in or around a relatively large community it is quite likely that you can find classes or teachers for private lessons for each of these forms of dance quite easily. You do want to make sure that anyone you take lessons from knows what they are doing. You can also look in your local paper for square dancing groups or bars or clubs that offer line dancing classes on designated nights during the week. 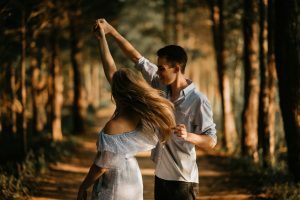 Whether you have been dancing all your life or are a rank novice when it comes to dancing, this is a great way to bring physical fitness into your life and improving your health without feeling as though you are really working for it or experiencing a sense of dread at the very thought.